The Novotel Dammam Business Park is strategically located in the heart of a business hub, with convenient access to Al Khobar on the coast of the Arabian Gulf. This 4-star hotel is ideal for both business and leisure with its indoor heated pool, sauna and steam room. 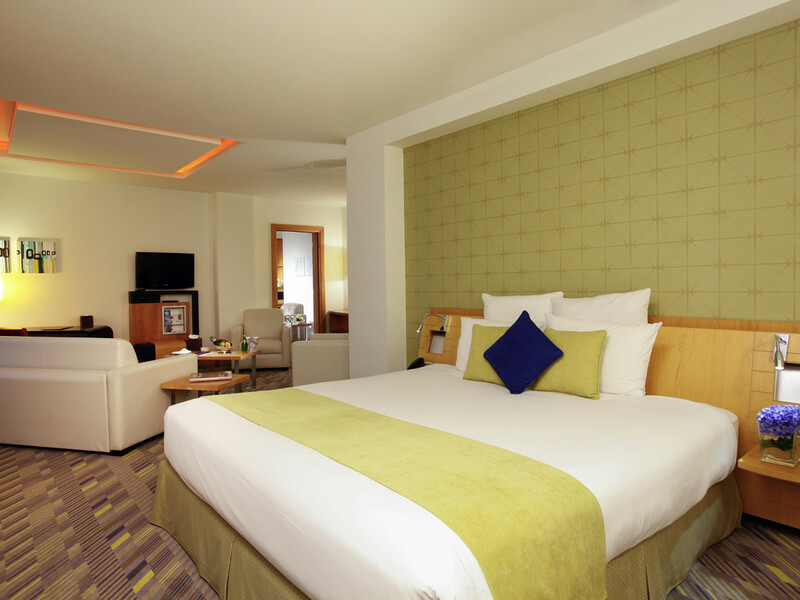 You are guaranteed a warm welcome and flawless service at Novotel. Standard Room. Bed with duvet. Sofa bed, WIFI. Conventional highspeed internet connection. Contemporary all-day dining restaurant, offering International food and Theme nights during the whole week. We will amaze you with our front cooking buffet concept and our international specialities.For smaller guests, we have a children's menu. Lobby Bar: The hotel bar serves cool long drinks from 10 am to 24 pm, varying cocktail creations with iced coffees and chocotates and delicious snacks in a modern atmosphere- a beautiful place to work, relax or enjoy great conversation.